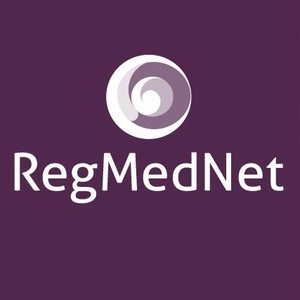 From cell culture to public understanding, here are the 10 most viewed items on RegMedNet in 2017. 2017 was an exciting year for RegMedNet and the field of regenerative medicine; from advances in induced pluripotent stem cell technology and a backlash against unregulated stem cell clinics to new features, contributors and a new site, we covered the latest news and brought you insightful expert opinion. Below you can find our countdown of the top 10 most popular content features on RegMedNet in 2017. Which ones did you enjoy? What would you like to see more of? Let me know in the comments! In this post from 2017, we launched the Award and opened nominations for the first time. In this interview, Dusko Ilic and Francesco Dazzi from King’s College London (London, UK) are joined by Cathy Prescott, Founder Director of Biolatris Ltd (Cambridge, UK), to discuss their current research and a new course designed to help young scientists bring cellular therapies from bench to market. Controlled automated thawing of therapeutic cells is important to ensuring their optimal viability, recovery, as well as safeguarding cell health and long-term performance. Scientists developing new cell therapy methods for the treatment of disorders such as sickle cell disease or leukemia need to consider how their culture conditions may affect the success of their translational research. In this editorial, read an update on hematopoietic cell therapy development and learn how best to culture gene-edited cells. In this interview, Maria Millan, the new President and CEO of the California Institute for Regenerative Medicine, reflects on CIRM’s successes so far. Mycoplasma contamination is a serious and wide-spread problem in cell culture research. Mycoplasma is often passed from culture to culture and from lab to lab, unknowingly putting millions of dollars of research money at risk, since experimental data collected from mycoplasma-infected cell cultures can be inconsistent and inaccurate. Despite a promising global demand and clinical potential, a number of regulatory challenges are impeding the translation of cellular based therapeutics from “bench to bedside”. In this expert editorial from David Pettitt and David Brindley, learn more about these challenges and how they could be overcome. EuroStemCell and Regenerative Medicine launch an online resource to engage and educate non-experts on the key issues surrounding regenerative medicine. In this Regenerative Medicine perspective, Leigh Turner discusses whether better screening of clinical trials on ClinicalTrials.gov is required and what needs to be done to protect patients. In this interview, Masayo Takahashi, Project Leader for Laboratory for Retinal Regeneration at the RIKEN Centre for Developmental Biology (Kobe, Japan), explains the techniques being utilized in the first iPSC clinical trial in humans. Did you enjoy the posts in our top 10? Would your own top 10 look different? Let us know!